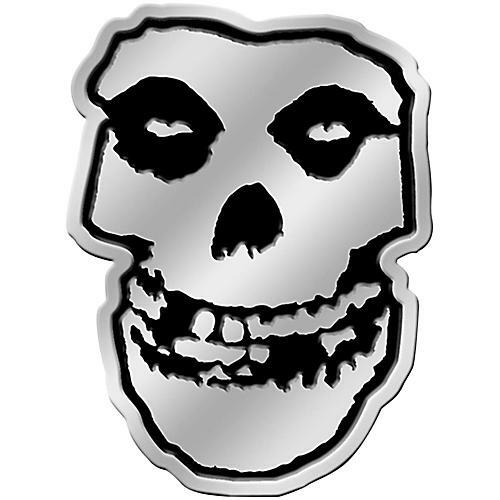 This vinyl sticker is a thick, non-bendable, weather-proof cutout of The Misfits' highly recognizable skull logo. 3.25" x 2.5". It is raised with a chrome and black design.